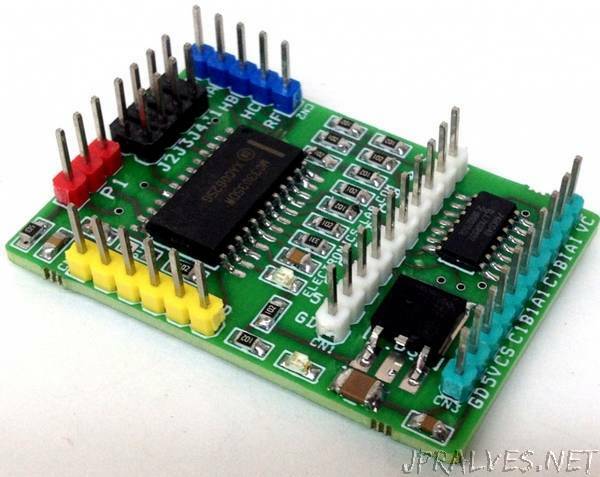 “The board shown here is a breakout board for MC33035 brushless motor controller. It requires an output buffer IPM module or Mosfets to complete the closed loop brushless motor driver. MC33035 IC is the heart of the project; the project provides 6 PWM pulses as well 6 Inverse pulses outputs. On board Jumpers helps to change the Direction, Enable, Brake, and 60/120 phasing Header connector provided to connect the Hall sensors and supply, on board LED for Power and fault, P1 potentiometer helps to change the speed.